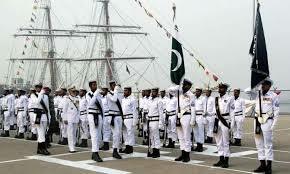 Pakistan Navy invites the applications from eligible Pakistani young candidates to join Pak Navy through short service commission in various fields. Pak Navy has announced multiple job opportunities in various programs. The young candidates can join Pak Navy through the online registration. The candidates from all over Pakistan are encouraged to apply against these jobs. Both males and females are encouraged to apply for the Pak Navy jobs 2018 through the short service commission. The persons belong to Sindh, Baluchistan, Punjab, KPK, GB, FATA & AJK are welcomed to apply. The job opening fields show the separate qualification and the eligibility criteria and the candidates are requested to check their eligibility from the criteria, which is shown below. Free Medical Treatments for Self, Family & Parents. Family Accommodation or House Rent allowance and Servant facility after marriage. 50% Concession for Family/Family/Self on Travel or Railway. High-Class Education for Children’s in Bahria College/University or in Professional Institutions. Height: 5’4” for Male & 5’ for Female. Qualification: BS (Cardiac Perfusion) with Minimum 2nd Division & 2 Years of Experience at least. Height: 5’4” for Male & 5 for Female. Qualification: BS (Bio-Medicine) with Minimum 2nd Division & 2 Years of Experience at least. Bachelors/Masters with Minimum 35% Marks in any of the Following Subjects mentioned below. Entrance Test will be managed on 8th August 2018. All the applicants are requested to check their eligibility criteria (https://www.joinpaknavy.gov.pk/assets/images/news/SSC_Ad1-031.jpg) after that they can register themselves online to Join Pak Navy through Short Service Commission. According to the selection criteria of Pakistan Navy, following personnel is not eligible to Join Pak Navy. Those who have been terminated from armed forces. Presenting false information or hiding true information intentionally. Mandatory entry test and intelligence test (written exam) will be taken on 8th August 2018. If candidates become successful in above tests then interview and medical examinations will be conducted. Personality tests will also be conducted afterward. Temporary and then final selection will be done by the NHQ. The application deadline online is 5th August 2018.